Malleable is based upon an older theme I once released, but has been updated and simplified as a Hybrid child theme. 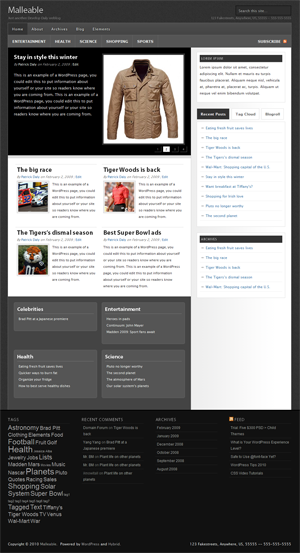 Malleable is a news-type theme that features a configurable slider and address (with microformats). It is based upon the Hybrid News theme so it shares many similarities.